Dr. Gardner is a Vascular Surgeon who graduated from Baylor College of Medicine in Houston. After a General Surgery Residency at the US Public Health Service Hospital in New Orleans, he trained in vascular surgery at the Ochsner Clinic in New Orleans. He is Board Certified in Surgery, and a Fellow of the American College of Surgeons. Dr. Gardner is on the active Medical Staff of several local acute care hospitals. He has served on several medical executive committees and as Chief of Staff at St. Tammany Parish Hospital and Lakeview Regional Medical Center. He served as the Medical Staff Representative on the Hospital Board of St. Tammany Parish Hospital for seven years. Dr. Gardner obtained a Masters Degree in Medical Management from the Tulane University School of Public Health and Health Systems Management in 2008. He holds the Registered Vascular Technologist (RVT) certification in Vascular Ultrasound. Dr. Gardner has been a leader in bringing the latest techniques in the treatment of vascular disease to his community. The first arterial balloon angioplasty, the first intravascular stent placement, and the first endovascular abdominal aortic aneurysm repair in the Covington community were performed by Dr. Gardner. His vascular surgical and angiographic experiences make him uniquely qualified to perform outpatient vascular access procedures. His vast experience in the surgical placement of dialysis shunts, fistulas, ports and catheters, makes him a uniquely qualified angiographer. His experience with the surgical treatment of peripheral arterial occlusive disease makes him qualified to evaluate all treatment options. 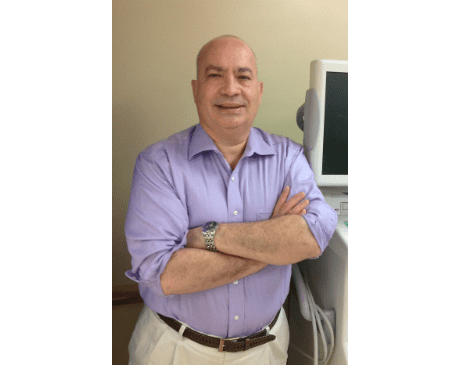 He is the most experienced actively practicing vascular surgeon in his community.